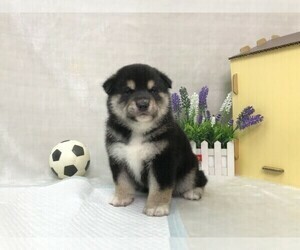 More details and photos at our website: perfect-puppy dot com or click the red Breeder’s Website link above our phone number. TERRY is a super cute purebred Japanese Spitz. They are bigger than a small size dog but a bit smaller than a medium size dog. 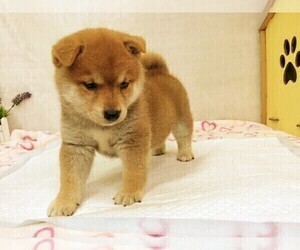 They are considered the easiest to train, and smartest small dog. 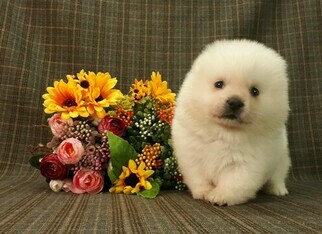 We are probably the only one in the US that has high class purebred Japanese Spitz puppies. We only sell purebred Spitz with thick fur, not those malnutrition-ed ones with scarce fur that look like a plucked chicken! Since Japanese Spitz puppies are very rare in the US, we import from Taiwan to LA/SF/Seattle/Chicago/New York airports free of charge. Serious buyers please. 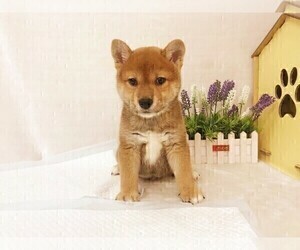 These puppies will sell out fast since it is Christmas season. No haggling. CREDIT CARDS and Paypal accepted. Customers paying cash with save 3 % surcharge and given priority. Overview: The Japanese Spitz is a small version of the Samoyed and is often confused with the American Eskimo. They make good family pets. 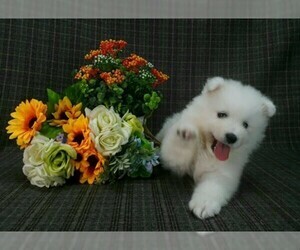 Character: The Japanese Spitz is intelligent, alert and playful. Temperament: The Japanese Spitz gets along well with children and other pets. Care: The coat needs to be brushed daily, particularly in the shedding season. Bathing is needed infrequently. 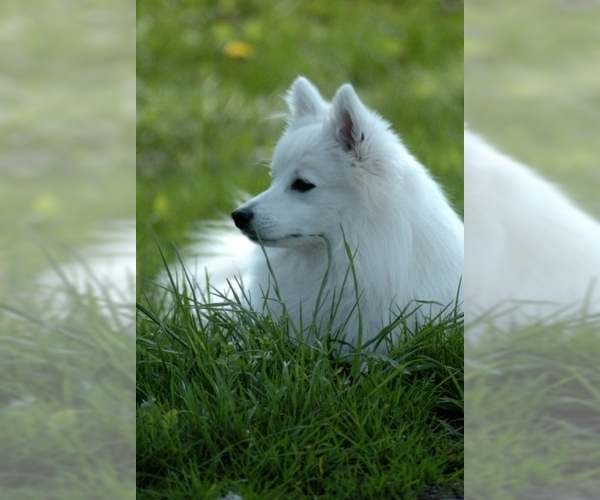 Training: The Japanese Spitz learns quickly with consistent training. Activity: This breed needs regular walks and time to play in a fenced yard.